Nutrition communication must be organized and requires ongoing support. Just like a website, see how Alpine keeps those values in line with client needs. Lori S. Brizee is a registered dietitian and certified specialist in pediatric nutrition with over 27 years of experience, and the mother of two. Prior to moving to central Oregon she worked at Seattle Children’s Hospital and Regional Medical Center for 20 years. Lori currently works in private practice with patients of all ages. Having just finished her new book "Healthy Choices, Healthy Children", Lori Brizee needed an online home for her content, a blog, and a quick way to share her expertise. An Alpine website provided just that. 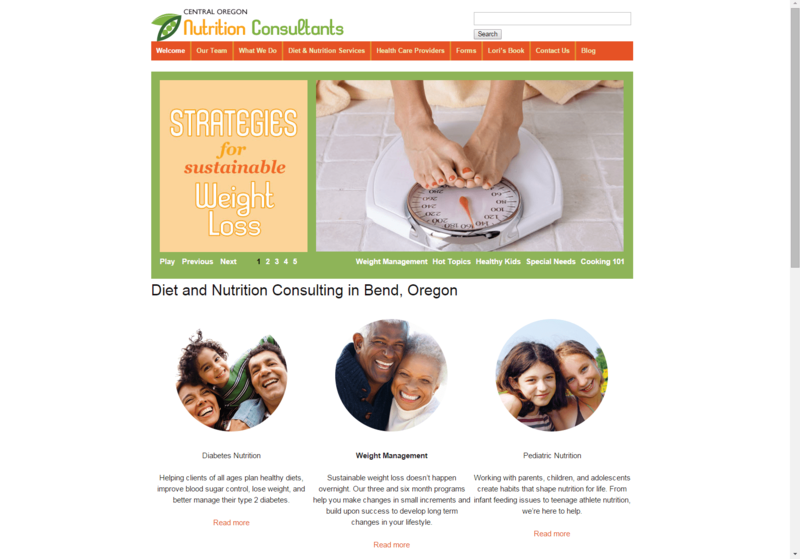 Now that Lori has more to offer her clients, an informative website was needed. Alpine suggested the use of photos and well-organized content to clearly provide access to the various topics.Of course a blog was necessary for this consultant/author, along with social media. Also important was the need to have Lori’s and Sue Schumann Warner’s book available for purchase. The website is now a truly content-rich website. Lori is able to create blog postings, keep up to date socially, and provides information her clients and potential clients want. The website also lends more than credibility to Lori as an author, it also reinforces her expertise in nutrition and years of experience. 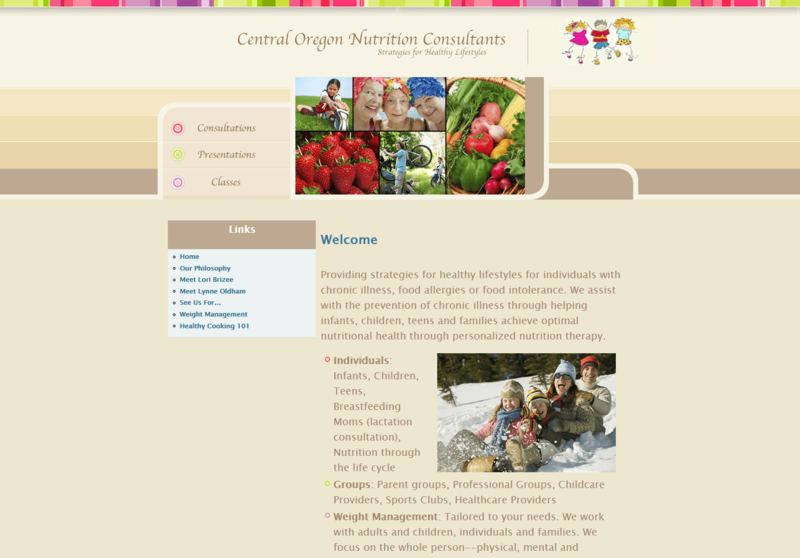 Lori S. Brizee is a registered dietitian and certified specialist in pediatric nutrition with over 27 years of experience, and the mother of two. Prior to moving to central Oregon she worked at Seattle Children’s Hospital and Regional Medical Center for 20 years. Lori currently works in private practice with patients of all ages.Sue Schumann Warner is an award-winning journalist and author with over 30 years of experience writing for national and international publications.